I formed Absentee after leaving art school. I’d been in bands before, but never as the songwriter. After spending a few months in Iceland figuring out what to do, I returned to the UK and decided it was about time I sang my own songs. Absentee was our UK reaction to, and in some ways an answer to the US bands we loved, Pavement, Silver Jews, Bonnie Prince Billy and Smog. We were all young and finding our feet at that time (2005-2008) and it was natural that we ran out of steam. When that happened, some of the band formed Wet Paint and I moved towards finding my own voice a little more with The Coastguards. The choice to do a solo record is as much about timing as anything else… this is what was possible and best at the moment in time I decided to do it. Is there any artist you consider important in your musical formation or at least someone you feel close to your way of making music? Many, but most obvious to me would be Lou Reed and Leonard Cohen. As a younger man I wanted to sound like The Velvet Undergound but that is impossible. Eventually I realised Lou Reed was just being himself and that was what made him both great and also uncopyable… Leonard was another in the same boat, They both showed me how to find your own voice even if it’s not an obvious voice to have. You’ve released three albums in about three years – “Blindspot”, “Distance” and “Memory” - that are mostly described as part of a triptych. What do you feel they have in common (other than their black and white covers)? The common ground is that they all walk through the same landscape but each time they notice difference things on the journey. The ground looks different each time we pass through it. A fallen tree that wasn’t there before, the grass is a different colour, the sun holds a different place in the sky. The albums were a practice of going over the same ground multiple times to see what’s changed, from that point you can move on. Can you describe your writing process? Which role do your personal feelings and experience play in it? I like to sit and hum to myself until words form naturally… without me forcing them consciously. Once the initial words have formed I can lead them in a direction that I like. For me, songs are always just a seed of truth or experience with a story built around them. If it was all truth it would just be a diary, and I wouldn’t want anyone reading my diary. I read on the press release of “First Light” that you chose to writer its songs at dawn, in a state still between dream and consciousness: what were you looking for, writing in that peculiar moment of the day? Are you satisfied of the songs that turned out? I was looking for that same thing, a lack of self consciousness, avoiding trying to write about a pre meditated idea, instead trying to follow the lead of words formed naturally. You’ve recorded records with producers like Valgeir Sigurðsson and Arnulf Lindner; how’s been working with them? And, generally speaking, what do you think about the importance of production in very personal songs as yours? I like working with other people but I’m always sensitive that I need to be close to what I do and I can’t let anyone get in between me and the recording. If I lose touch with it then there is no reason for me to be there. It can be hard to find that balance but maintaining the link between yourself and your songs is the most important thing. If you can find someone who can translate for you in a way you’re comfortable with, that’s a rare and wonderful thing. On “First Light”, you worked with an orchestral ensemble: do you think this can be the ideal accompaniment for your songs from now on? I think it’s perfect for this record, but not for all songs from now on. I want to take something from this record into everything I do in the future but some will also inevitably be left behind. Hopefully that is what learning and moving forward is all about. How do you feel playing your music live? Do you like better to play it alone or with a band or orchestra? I’m not a huge fan of playing alone, although it’s nice to have all that space it can also be lonely. I always hear the band or the orchestra when I play so there is always something missing when it’s not there. That said, there is something magical about having that one to one with an audience. Still, I prefer a little company. Most of your songs have a sweetly nostalgic taste: do you think that, as Nick Hornby, that there is a necessary link between melancholy and (pop) music? Absolutely, I think the language for sadness or melancholy is so much more sophisticated. Happiness is base and doesn’t really demand explanation, if you’re happy you just get on with being happy, if you’re sad you need to wallow in it for a while then disect it and describe it in order to express it to other people. As a listener, what kind of music did you use to like best over the years? And nowadays? The music I listen to intensely has changed a lot over the years. The Velvet Undergound was the only thing for a long time, then there was a year or two when i only listened to the Soul classics on Chess Records and Motown, Etta James, Carla Thomas… and the Flamingo’s, then through to ESG, Talking Heads, Jonathon Richman, Spiritualized, through to Terry Riley, Philip Glass, Arvo Part and John Adams Currently. I get obsessed with trying to understand the particulars of something I like. 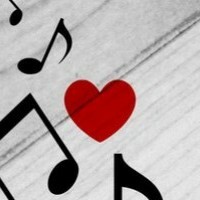 Always music that I can’t make myself, because it’s surprising. How did they do that? Are you interested in the connections between music and different forms of art? I am, but it can be hard to quantify. I always felt strongly that Richard Long’s land art piece A Line Made By Walking had a distinct relationship with the way I work, but I can’t figure out why exactly. Maybe that the particular shape of that line could only be made by that one individual.. another person would have leaned further to one side, trodden heavier to the left or right. All art is concerned with the same thing.. to externalise something internal intangible things, and to attempt to communicate some version of that. An almost impossible task, but one that throws up so many interesting attempts along the way. What do you think about the way music is now spreading through the web? Do you think it is helpful for independent artists? I’m quite old so it’s hard for me to understand the benefit of this in comparison to discovering and owning the definitive article, something you can hold in your hand, rediscover on the record shelf or pass on to a friend. When music is or appears to be relatively free, our concept of the value of music changes. It becomes less precious, less worth protecting and less worth making an effort for. Though I don’t fear that it will have any real effect on peoples creativity, new music will continue to erupt from new people, I worry more that no one will care. With so many music floating around every moment, what do you think creating music and writing songs is still worth for? I think it’s essential for the people that feel the urge to make it, it is like shouting “Hello” down a long dark tunnel then waiting to see if there is a reply. Hopefully someone is at the other end waiting to hear it. And, finally, what else can we expect from you in the near future, and what do you expect from music? I’ve just completed the score for a documentary which will hopefully surface soon, I’m also wring some music inspired by a book I recently read. I’m focusing on more instrumental music for a while, even I can get bored of the sound of my own voice. After a while some words will form out of the hum and I’ll be wring songs again. I’ll just keep my ears open and ready. Questa voce è stata pubblicata il 25 febbraio 2018 da rraff in interviste con tag 2018, dan michaelson, interview, raffaello russo, songwriter.